Looking ahead to TAKEPART 2019! 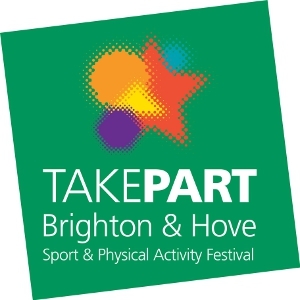 TAKEPART is an award winning festival, celebrating sport, dance and exercise in Brighton & Hove. On Saturday 22 June 2019, TAKEPART will bring together sport, dance, exercise and activity providers from across the city to celebrate local opportunities for people to lead active lifestyles in Brighton and Hove in a fantastic free event at the Level. The event showcases activities for people of all ages and abilities. Whether you want to improve your health, have fun, spend time with your friends and family or simply find out more about what's on in the city, TAKEPART is the perfect way to find out. All activities at this event will be free join in and suitable for beginners. How can my club or group get involved in TAKEPART? Be the first to hear about events, taster sessions and activities during TAKEPART when they're released.